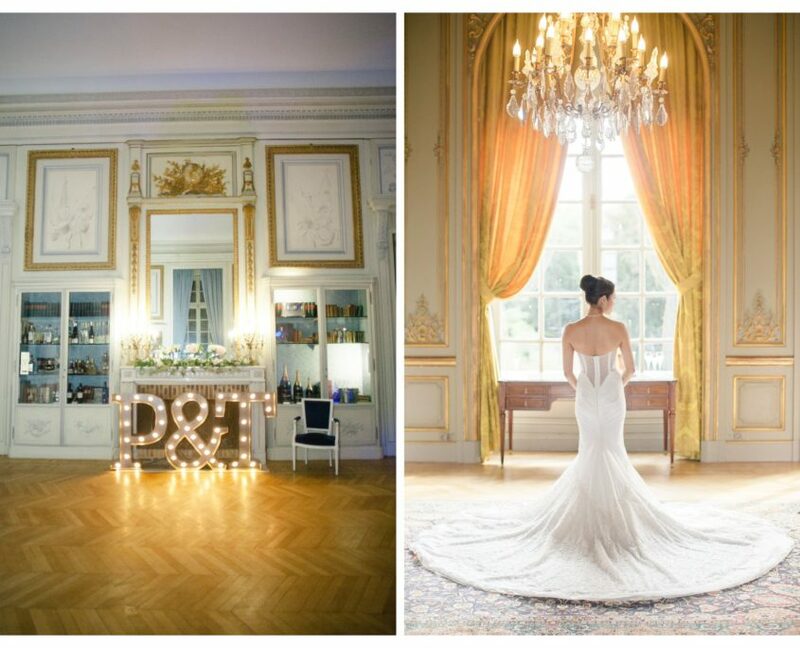 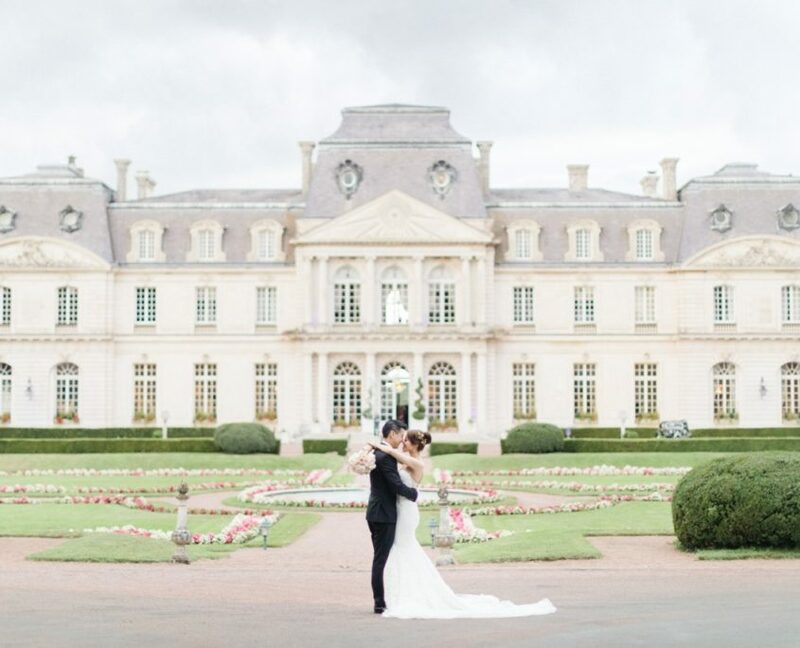 Peiwen & Thanh had a weekend chateau wedding with their guests staying in a beautiful Loire Valley Chateau. 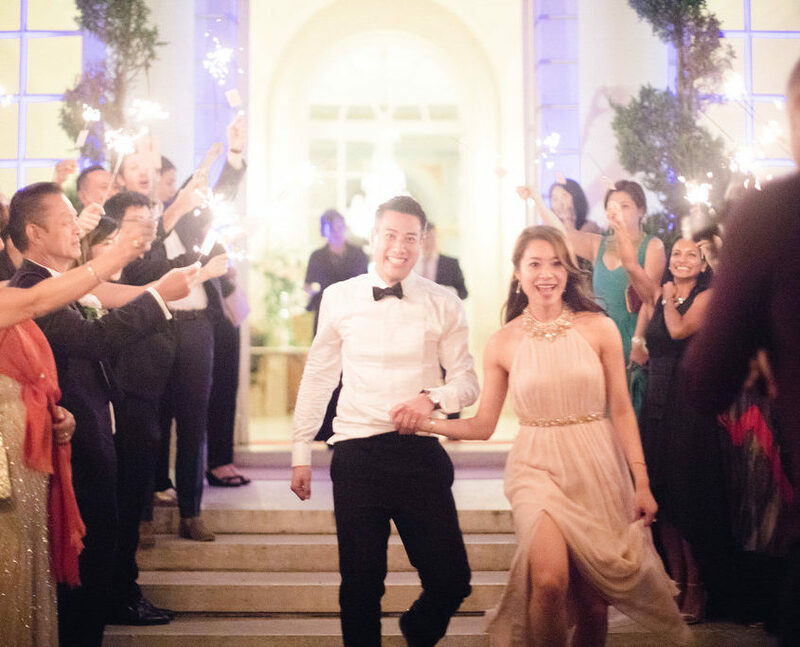 The greenery for the wedding ceremony was ‘overgrowing’ in the main hall to create a magical staircase. 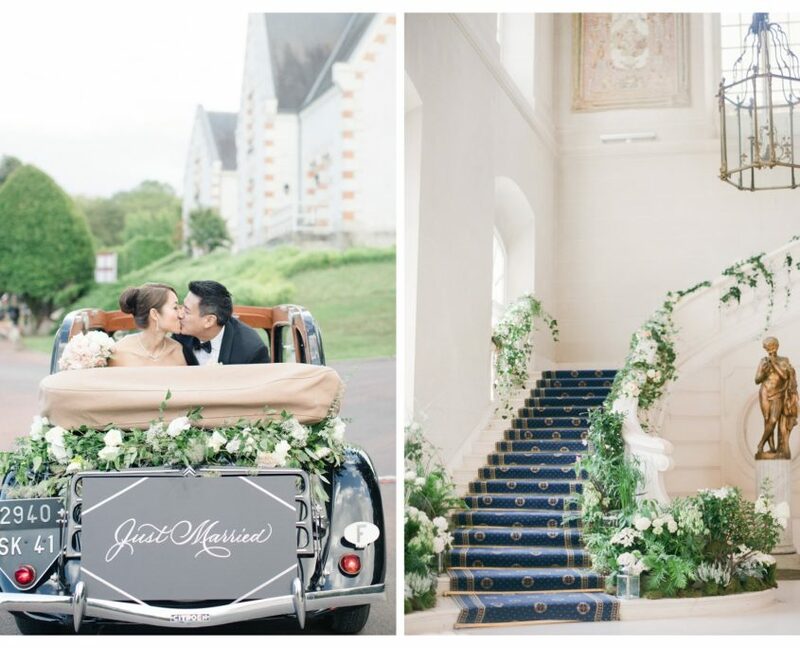 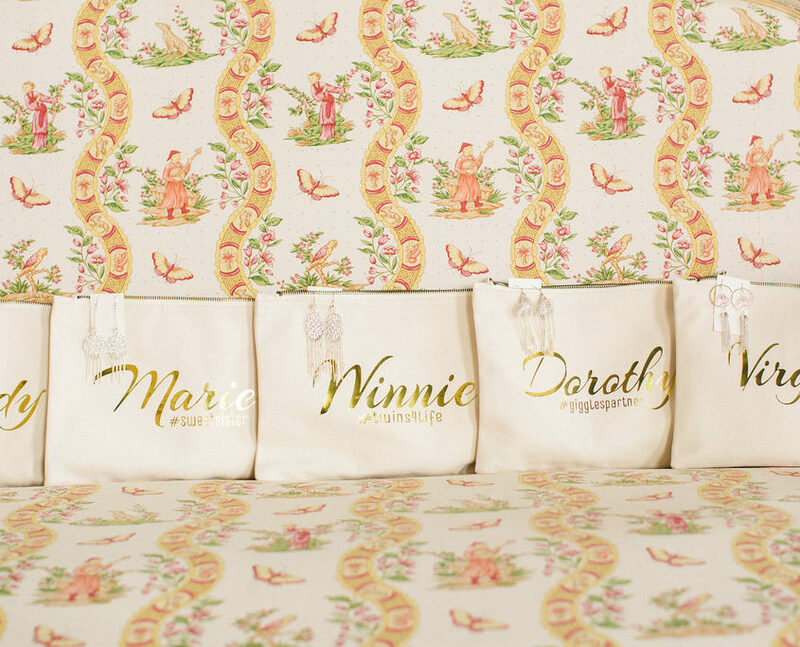 The bride and groom had a vintage getaway car custom decorated. 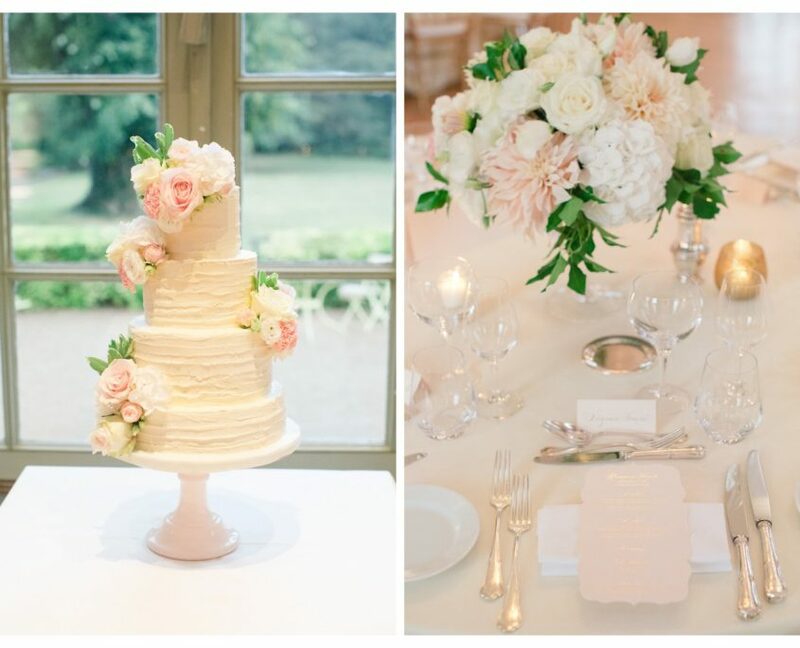 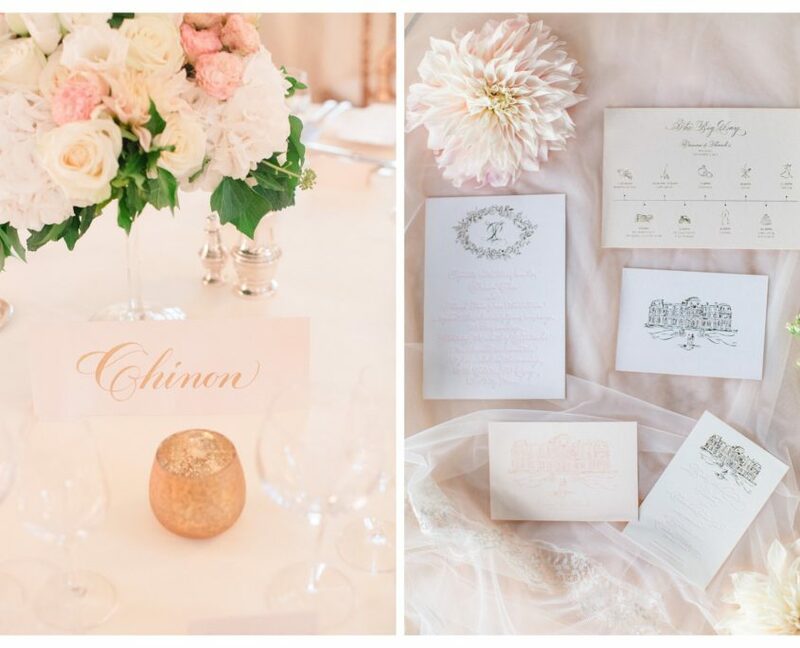 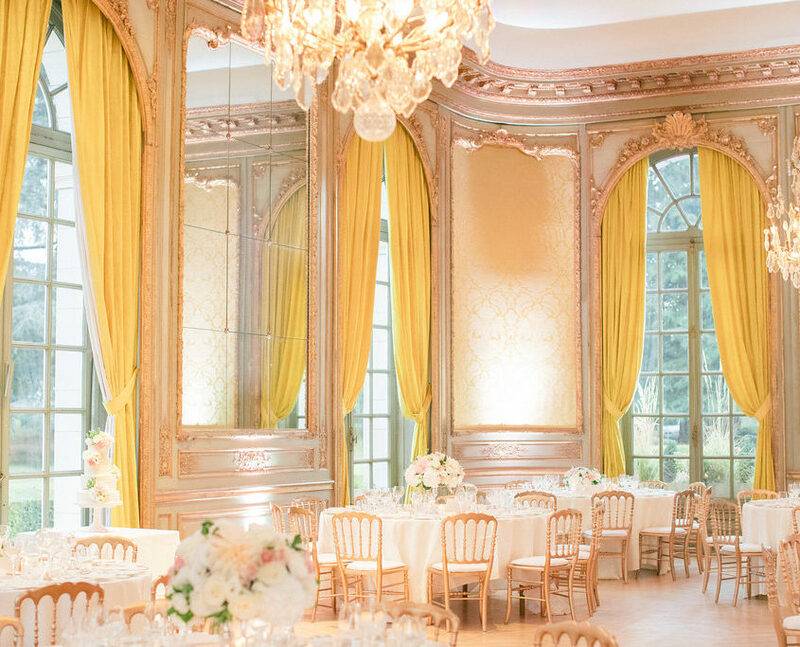 The formal dinner in the chateau dining room switched to pale colors with romantic pale pinks. 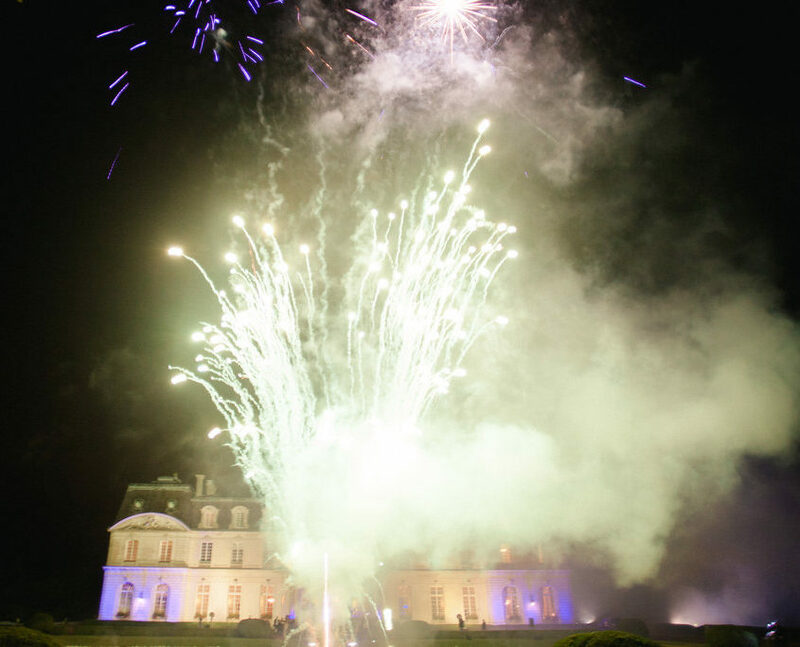 After the cake, guests were surprised by a mesmerizing fireworks display. 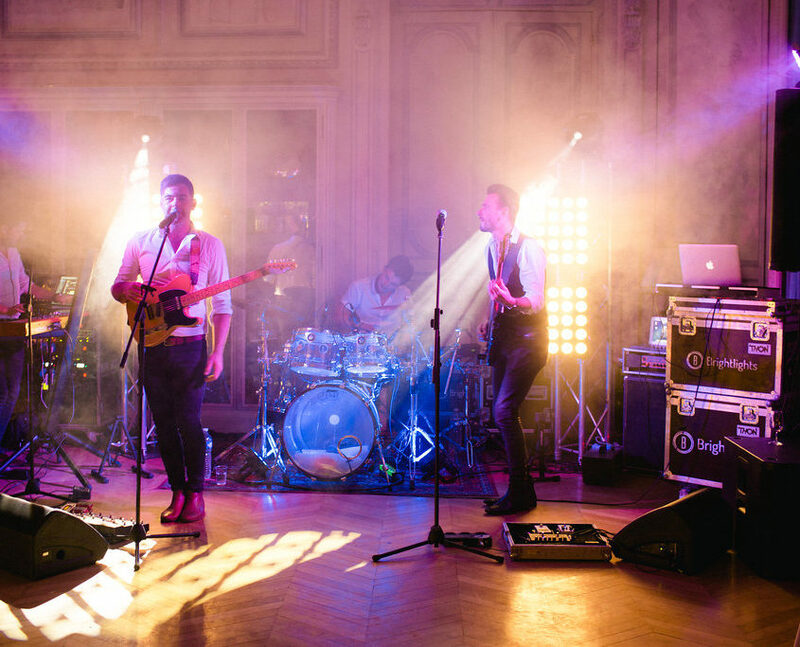 Partying with a live band and custom cocktails went on until 5 in the morning!